Forget Audience Segmentation – Segment by Conversation! Back in December of 2007 Forrester published a method for creating a Social Media Strategy called the POST Method. It was revolutionary at the time because as most who marketers were beginning to experiment with Social Media fell into the trap of implementing the latest “shinny object” which naturally over-focused them on the technology rather than finding the right audience (or P for People), identifying your objectives (O), creating a strategy to reach them (S) and then finding what technology would work best (T). But I would argue having worked on several social media strategies now that this approach no longer holds. The problem is the (P) in the POST method. I dawned on me when the CMO of Avaya asked me to show her how we would reach certain audiences with our Social Media efforts like Prospects and Business Partners etc. it was hard to find a “pure” grouping of these out on the Socialsphere. What you typically find is a “Conversation” and in that conversation you have a few prospects, maybe an existing customer, a business partner, a few employees and even a competitor or two. The goal of your Social Media strategy is not to find the P for People it’s to find the C for Conversations! If you can effectively listen and monitor to find the conversations where the people are talking about topics you want to participate in then you are 90% of the way to a successful social media strategy. And if you play your cards right to generating leads with your Social Media strategy. But that would infer that the POST Method should really be the COST Method for creating a Social Media strategy and that just doesn’t sound very good! 8 comments to Forget Audience Segmentation – Segment by Conversation! If you make it "P" for passion then it all works out. People on the web converse about the things they are passionate about. We can segment by passion. @ Tom – I like it! Focusing on the conversation has another benefit … it shifts how we approach marketing from only speaking to speaking and listening. Social media is forcing us to balance speaking with listening. We have to listen more deeply than ever before, and speak in a way that is more authentic and more connected with what we really care about. 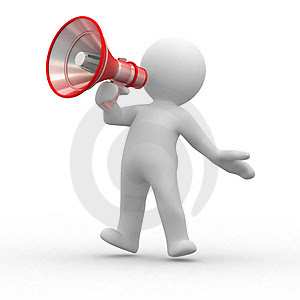 Borrowing the P from Tom's post, how about LIST as an acronym: Listen Intently – Speak Passionately. Nice Paul, You've hit on a great point here. I like how you lay this out. The conversation is the new segmentation. I think CMO has a different view – right or wrong. This is a fair question for a CMO/executive who has to determine where to spend his company time and resources. Are the right (P) people involved in the conversation? This is the way I interpet Forrester's meaning. Just be sure the we are "talking to the right People"!